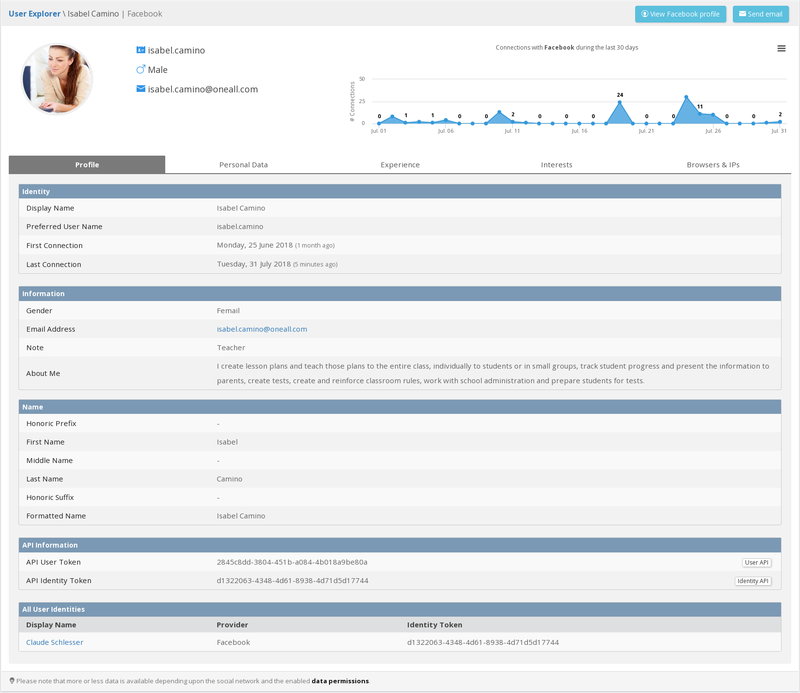 Easily browse and manage the user profiles retrieved from any of the social networks. A centralized dashboard allows you view demographic data and more. 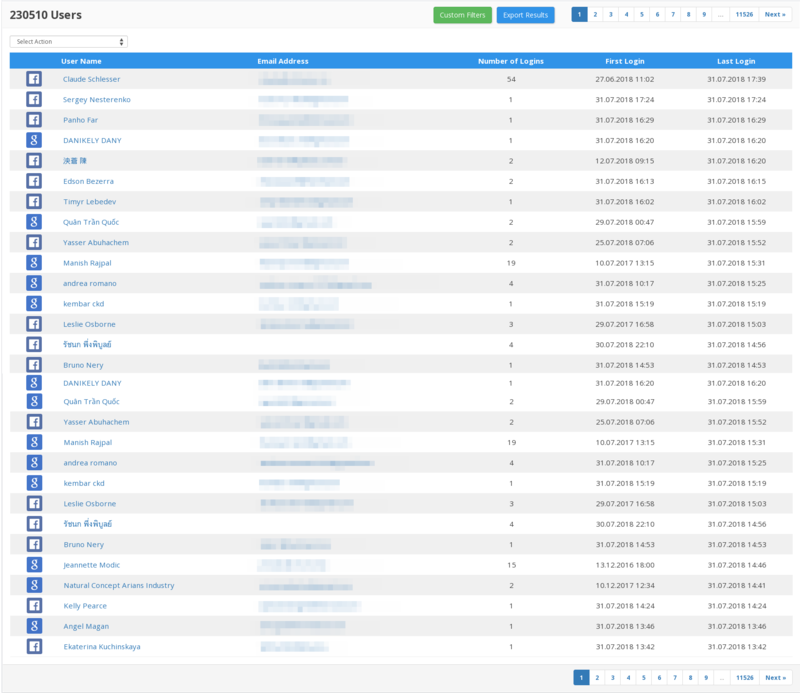 The User Explorer gives you a complete overview of all users that have connected using a social network account. Apply filters to segment your audience, view the full social network profile data as well as demographic info of each user individually and easily export the data for marketing purposes. We are in what Forrester Research calls The Age of the Customer, where customers, not companies, are driving business decisions. For this reason, it is more important than ever for companies to get to know their customers on a deeper level. With our User Explorer you can tap into the realm of rich profile data collected by our Social Login service and leverage that data to gain critical insights. Our Social Analytics provide aggregated data that may hide critical insights. The User Explorer provides granular information about each user and will give you the most valuable insights required to continuously improve your customers' experience on the one hand and your business results on the other hand.